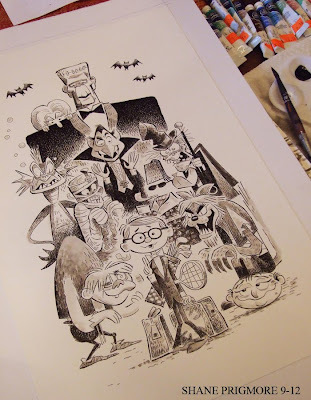 I have been very busy the past several months, but here is something I can actually blog about. 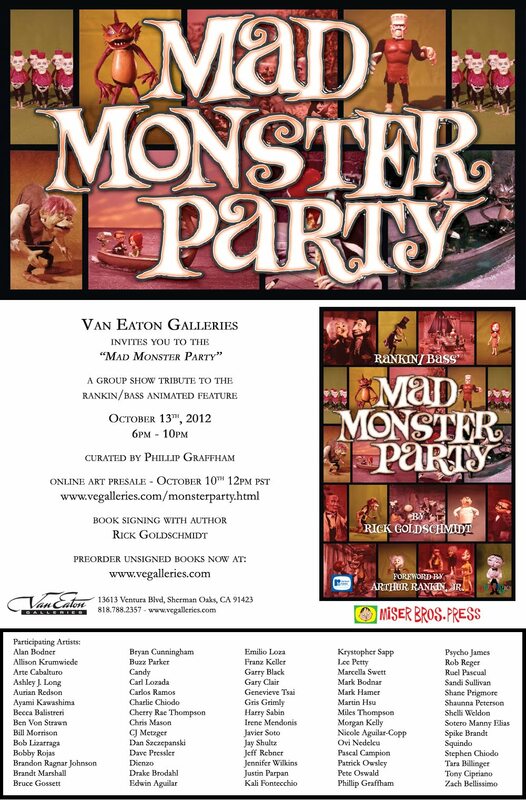 Van Eaton Galleries invited me to create a piece for their tribute to Rankin/Bass's "MAD MONSTER PARTY" gallery show and event(See promo below). Since I am an absolute Rankin/Bass fanatic, I had to do something. 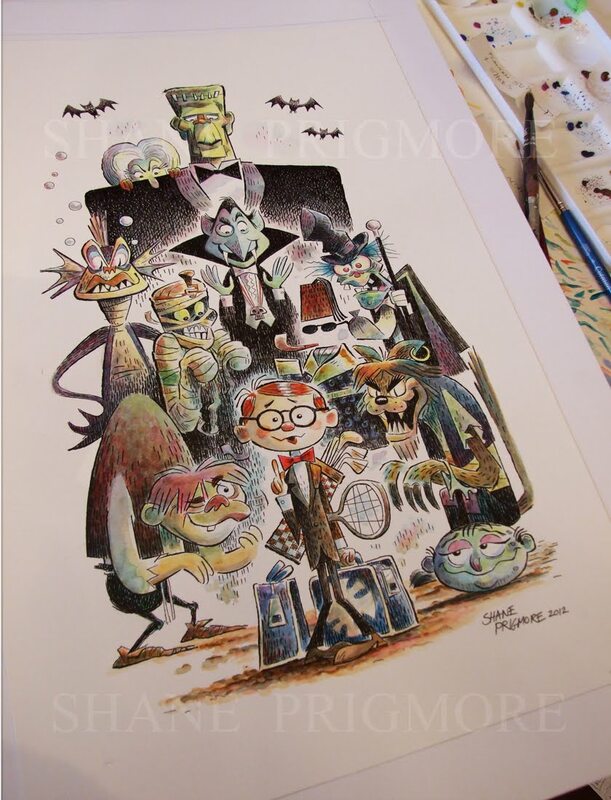 Above is a look at the color version (watercolor wash), as well as the earlier work in progress(ink and ink wash). Lots of cool artists in the show, and Rankin Bass historian Rick Goldschmidt will be there for a book signing as well. Happy Halloween.